Disclosing this in a press statement, spokesman of the Agency, Adebayo Taofiq, said the suspects were apprehended by the Monitoring and Enforcement Team after negotiating and collected N15,000 from the motorist. Adebayo quoted the Agency Chairman, CSP Olayinka Egbeyemi, as saying that preliminary investigation revealed that the suspects presented themselves as officers of the Agency and arrested a motorist for traffic obstruction by Ojota bus-stop. 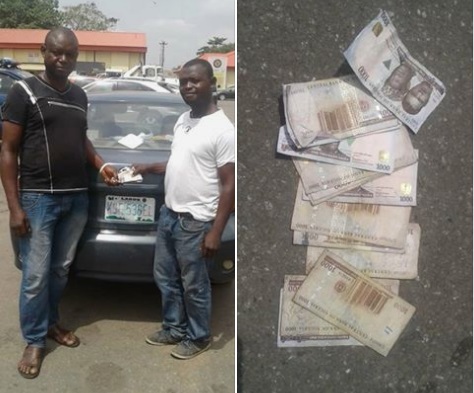 According to Egbeyemi, the Agency also discovered that the suspects had long been perpetrating the act saying, “We have severally received complaints from motorists, particularly commercial bus drivers, about activities of these unscrupulous fraudsters who specialised in impersonating officers of the Agency and defrauding people across the State”. The Chairman reiterated that traffic enforcement and environmental sanitation officers wear jackets with inscription of ‘LASG TASKFORCE’ for proper identification while on duty. He clarified that only Lagos State Task Force and LASTMA are empowered by law to enforce traffic laws on ‘BRT’ corridors across the State. The suspects made an average of between N50,000, and N70,000 daily, the Agency revealed.